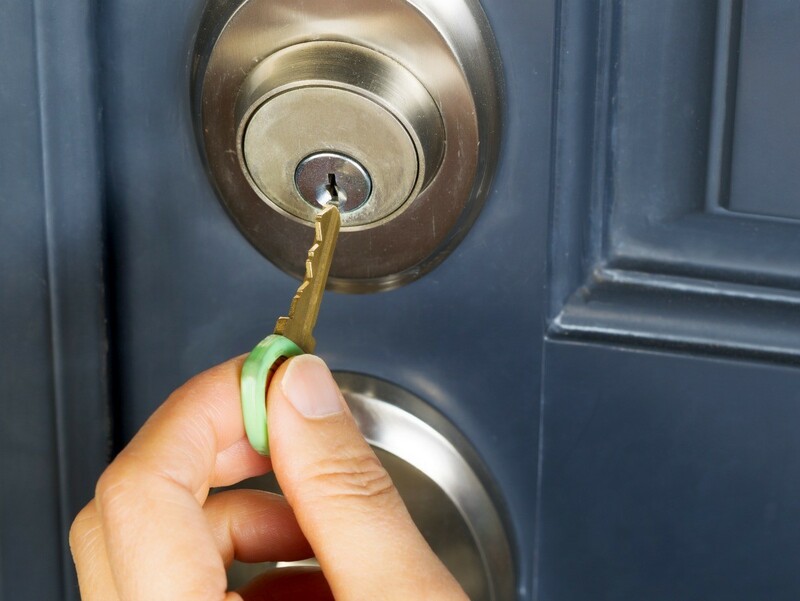 A lost key or a change in roommates are occasions when you may consider changing the door locks. However, you can typically save money by rekeying the lock rather than replacing it. In changing the door lock, I have found that by having the cylinder "re-keyed" represents a huge savings as opposed to buying a new lock and getting rid of the old. When buying a house, sometimes you get several locks with different keys for each. Such as front door backdoor garage and so on. I found this to be annoying. I have always taken my locks in to be re-keyed to one key. The cost is very reasonable compared to replacing all the locks. Besides, you just don't know how may keys the former owner had and it always made my feel safer to re-key all the locks anyway. One thing to remember is the inside cylinder can be either changed out for a new key to fit, OR you may find with old locks, the inside cylinder wears down to one size fits all keys. We buy average priced name brand ($50) deadbolt, 2 key entrance locks. The door used most often has to have the whole thing changed out about every 2 years. The wear and tear allows it that my son can take a credit card and wiggle it in, use any key to lock the door. If he can, anyone can. I use the deadbolt on at night and if we are away for more than a couple hours. This is the secondary lock that you turn on the inside, need a key to reopen. It is apparent that we have a large dog--with her leashing system by the back door. Not sure if this is a deterrent. But I think it helps. She does not let people into the house since our first grandchild was born 8 yrs ago. She became the mama of the kids. Most stores have one or more real hardware stores and/or other places that can do this job. They can also re-orient your lock's key-slot. You key should be inserted into the lock with the smooth side up. Possibly that only applies to older locks. If a key has to be used the other way the lock can collect rainwater and junk up. Oops. I should have said "most towns".